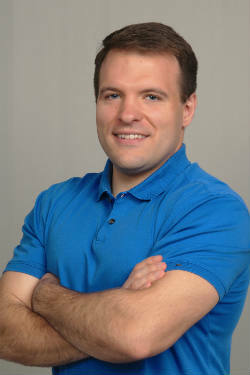 Dr. Casey earned his Doctor of Chiropractic at Palmer College of Chiropractic – West in San Jose. He liked the fact that the school is focused on exercise and rehab and up with the times on what best helps patients get better and stay better. He implements rehab exercises in the office and shows patients the exercises and stretches that go along with their treatments. Dr. Casey is certified in Active Release Technique® and is a certified RockTape practitioner. Live your best life, free from pain and discomfort, with safe and natural chiropractic care. Schedule a same-day appointment today!